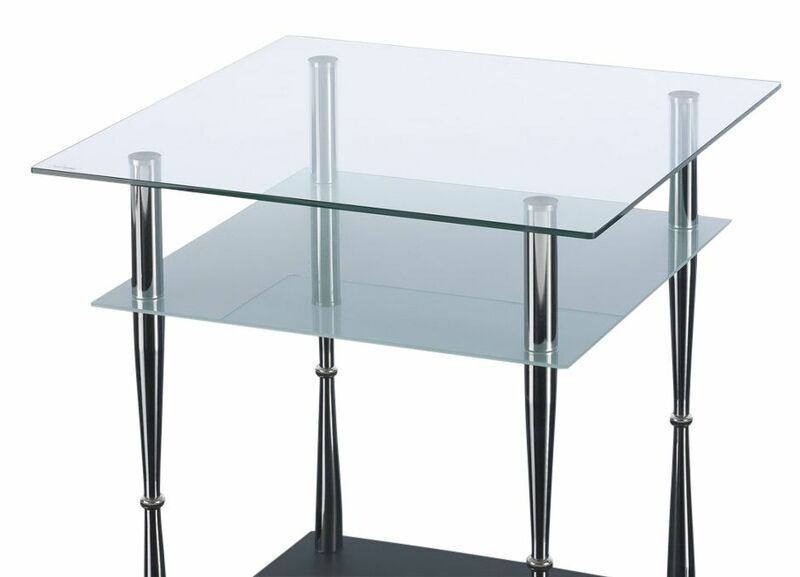 Two tier glass coffee tables with tapered Chrome legs. Available from stock and delivered in 3-5 days. Suitable for a wide range of commercial applications. 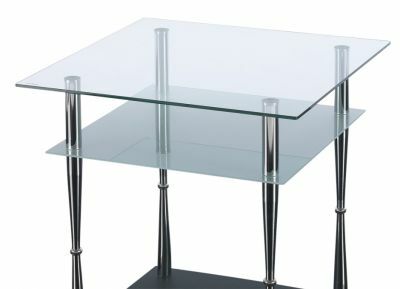 Square version of the incredibly popular two tier glass coffee table. This is a stock item with a short lead time of 3-5 working days.